I am all about the simple dinners right now. It’s hot, and I don’t want to cook. Like ever. 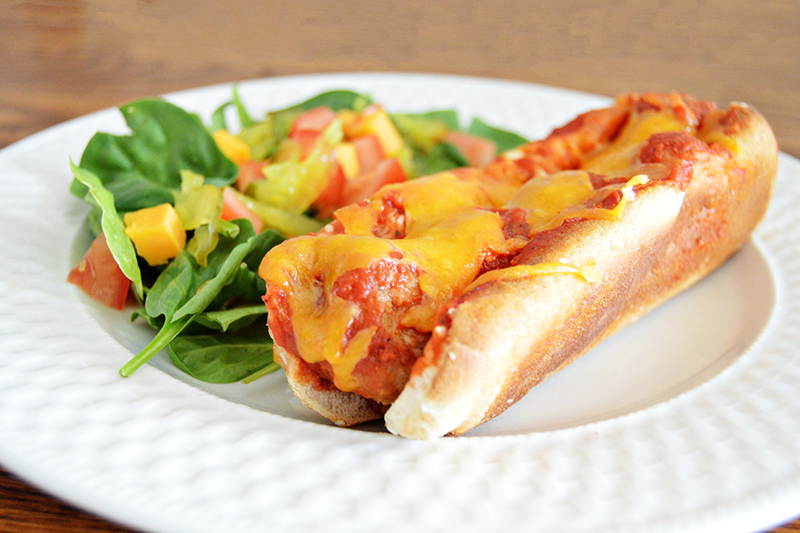 This meatball sub recipe does use the stovetop and oven, but only for a few minutes. I promise, it’s one you can do on a super hot day without making the house unbearable. And it’s super tasty. These subs throw together in under 20 minutes, but they taste better than Subway’s version (this is my husband and neighbors’ considered opinion). Frozen meatballs and pasta sauce make a quick and easy weeknight dinner! On the stove top, heat the meatballs and sauce until the meatballs are no longer frozen. In a baking dish, place the rolls so that they touch each other. Fill the rolls with meatballs and sauce. Pour any remaining sauce over the rolls. 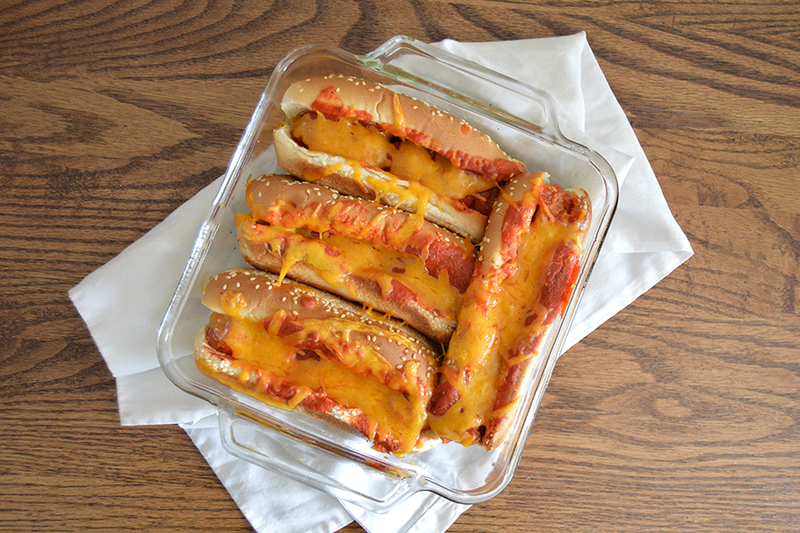 Top with cheese and bake at 350° for 10-15 minutes or until cheese is melted and roll tops are slightly crispy. These keep overnight really well. Just cover the pan with foil. You can also wrap each sub individually in foil. What’s your go-to weeknight meal? Leave a comment below and let us know!